Minnesota based NatureWorks LLC in partnership with Taco Time, the City of Seattle, Cedar Grove Composting, Ecotainer, Pactive, and WNA performed a case study showing the effectiveness of using compostable products in aiding in the diversion of more organic materials for composting. 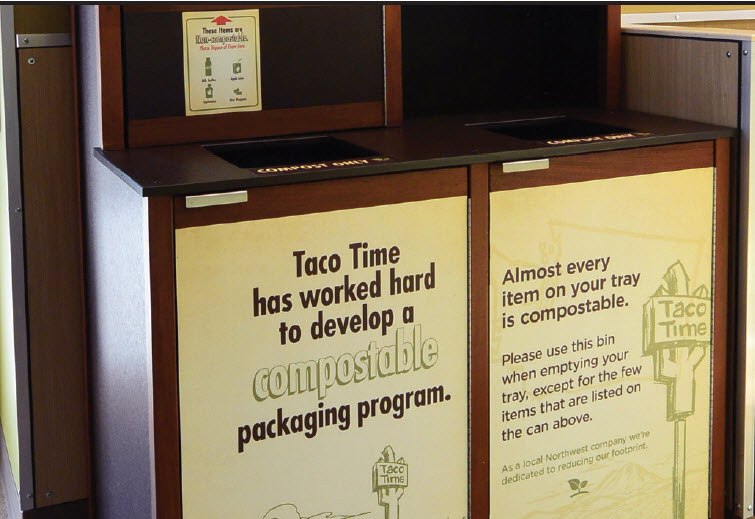 Through the project, Taco Time switched almost all of their products over to compostable items which not only significantly reduced contamination, but also confusion for its customers. Read Taco Time's case study here. The Organics Recycling Outreach Guide is a resource to be used voluntarily by waste educators both public and private statewide. The guide was developed by the Association of Recycling Managers in coordination with stakeholders from around the Twin Cities Metro Region. 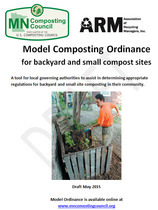 The use of the terminology included within is endorsed by all compost sites in Minnesota and several other organizations including the MNCC. Zero-Waste Composting is a comprehensive approach to composting that requires we first make efforts to eat the food we buy, then compost as close to the source as possible, and only collect what is left. All of this is done to preserve and create soil, a rapidly depleting resource that our lives depend on. A video about the role of compost in combating climate change by sequestering carbon in soils. Click here. ​How to include food scrap collection in an existing yard debris program. A tool for local governing authorities to assist in determining appropriate regulations for backyard and small site composting in their community.